Ellerslie Veterinary Clinic is very pleased that the Ellerslie Business Association supported us to present you a small excerpt of the history of Ellerslie. 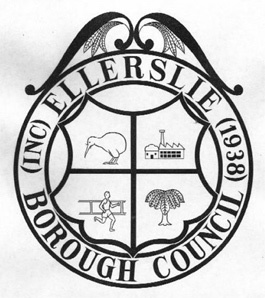 The history of Ellerslie began in 1848 when a young Scottish entrepreneur, Robert Graham, purchased two blocks of land bounded by Great South and Panmure Roads. 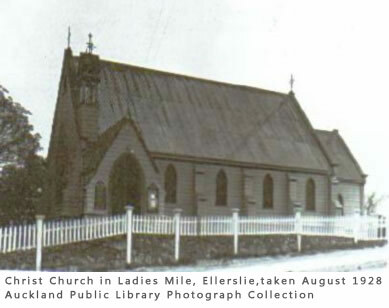 Although he initially wished to name the area ‘Elderslie’ after his family home in Larnarkshire, the name was altered to ‘Ellerslie’ either as the result of a clerical error or due to the prior existence of a town called Elderslie in Otago. The estate was gradually expanded to incorporate land between Great South Road, Remuera Road, and the outskirts of St John’s College. Several years later Robert journeyed to America where he courted and married Sophia Swann, returning to New Zealand with their first-born child in April 1853. A family homestead named ‘Ellerslie House’ was constructed at the top end of ‘Ladies Mile’ – originally no more than a bridle track connecting the estate to Remuera Road where Robert’s brother resided. Although the track later became officially known as Bella Street, Robert nicknamed it ‘Ladies Mile’ after his wife who rode along it every morning. During the early 1870s, Robert decided to turn a portion of his estate now bounded by Hurst, Harrod, Tecoma, and Robert Streets into the ‘Ellerslie Zoological Gardens’. Landscape gardeners were employed to create numerous rockeries, pavilions, rustic arbours and swings, a merry-go-round, a dancing stage and bandstand, and two round stone houses for seating. An orchard and strawberry fields were planted nearby and grounds for football, athletics, and cricket were laid out. A lion, a tiger, a bear, an eagle, several monkeys, and emus provided additional attractions for visitors. The gardens regularly brought thousands of Aucklanders to Ellerslie and became notorious for indulgence in delicious strawberries and ice cream. The racecourse, sports events, and the gardens made Ellerslie a centre for socialising and leisure. In later years Graham continued to wear the silk hat and frock coat of a gentleman, riding into town on a grey pony each morning after visiting the gardens. 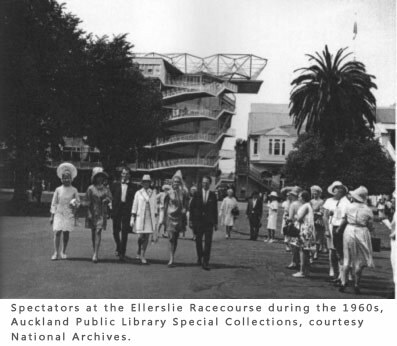 Following the establishment of horse racing, the gardens were renamed the ‘Ellerslie Racecourse Gardens’. By the end of the nineteenth century horse racing had become the foremost industry in the district. The first race at Ellerslie was held in 1857 on land towards the end of Tecoma Street, attended by Governor Gore Brown. The Auckland Jockey Club initially leased the racecourse from Robert until 1872 when 90 acres was purchased. Title to this land was transferred to the Auckland Racing Club on its formation in 1874. By the 1890s stables were situated in almost every street of the town. At its peak 300 horses were trained in Ellerslie, with 32 stables, 2 blacksmiths, and numerous trainers and jockeys. Stables were scattered throughout the district, particularly towards the end of Amy Street, Kentucky Street, Lonsdale Street, and Morrin Street. Although only a portion of the racecourse was actually situated in Ellerslie, many residents felt that horse racing had dominated the town’s identity. Memories of early residents often describe occasions when members of the Royal family came to Ellerslie, beginning in April 1920 when the Prince of Wales attended a special race meeting to give thanks for New Zealand’s war effort. The Duke and Duchess of York (later King George VI and Queen Elizabeth) visited in February 1927 and Queen Elizabeth II attended with Prince Philip in December 1953, accompanied by 55,000 spectators. Robert initially planned to create a cemetery on the remainder of his estate but was thwarted when the central government refused to grant legislative permission. Following the example of Remuera, Robert instead subdivided the land into building lots. Advertisements for the settlement included land for a school, a church, a mechanic’s institute, a Masonic hall, and a water recreation area. During the late nineteenth century settlement of this subdivision transformed Ellerslie into a small but rapidly expanding township. In December 1873 a railway line between Onehunga and Auckland via Newmarket, Ellerslie, and Penrose was opened with great public celebration. The station at Ellerslie was initially situated between the railway bridges with the main road running directly through the village and intersecting the line at a level crossing. By 1874 residents became concerned at a number of accidents that had occurred at the crossing and successfully lobbied for relocation of the station to the opposite side of the road, requiring realignment of the road to its present route. The railway encouraged suburban settlement and allowed a daily delivery of letters to the station until the opening of a post office in 1911. For many years the town was without a store and early settlers made the journey to Newmarket or Auckland for their supplies, although bread was delivered regularly to the township and Arthur Pickering delivered meat by horse and cart. However, by 1882 the first grocery store opened near the railway station and at the turn of the century the village possessed a bakery, a bookshop, and a drapery. In 1894 Sidney Hill, known to many residents as the ‘Ellerslie Mad Butcher’, opened the first butcher shop on the main road. Yet as late as the 1920s and 30s a village atmosphere prevailed and milk, bread, fish, and groceries continued to be delivered by horse and cart. It was not until the mid 1950s that a second shopping centre was established in Marua Road.